Interested in becoming a sponsor of this year’s Deck the Palms? Click here to view various underwriting and sponsorship opportunities. 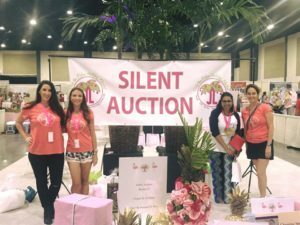 Please note, all sponsorships and donations must be submitted to the Junior League of the Palm Beaches on or before October 12, 2018 in order to be included in the printed materials for the event. Should you have any questions please contact DTPSponsors@jlpb.org or call 561-689-7590.